Ocracoke’s history of a passion for figs is celebrated annually at the Ocracoke Fig Festival, taking place this year on August 17th and 18th. This family friendly event is a favorite of both locals and visitors. In addition to miles of pristine beaches, an abundance of fresh local seafood and the legend of Blackbeard the Pirate, Ocracoke is also known for figs. 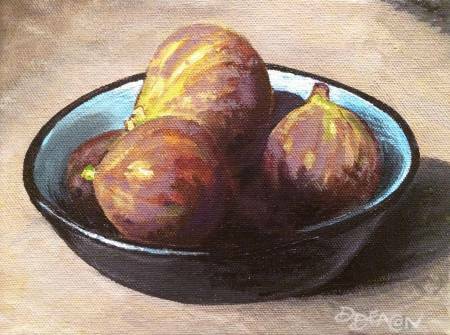 While figs have always been popular with Ocracoke residents, visitors certainly have joined in the appreciation of this locally grown fruit and the history of Ocracoke Figs. The Ocracoke Fig Festival celebrates Ocracoke’s past and preserves this island tradition for future generations. Learn about Ocracoke’s fig history and culture. Join a Fig Porch Talk by Ocracoke's fig expert, Chester Lynn. Get tempted with Fig Cake samples. There will be a fig marketplace, featuring local vendors selling Fig Preserves, Fig Trees, and all things Fig-tastic! Bring the kids for old-fashioned crafts, games and family fun. Friday features the Fig Preserves Tasting Contest. Saturday presents the tasty showpiece of the Fig Festival, the Fig Cake Bake-Off. Everyone is welcome to submit a cake in one or both categories, Traditional or Innovative. 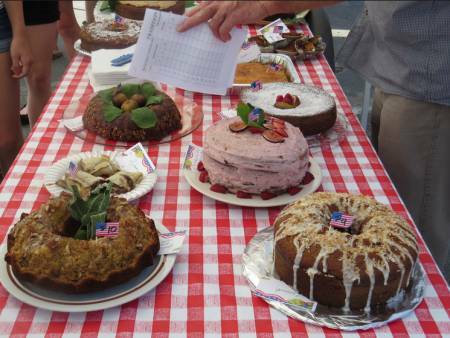 A delicious feature of the event is the free sampling of fig cake after the judging. There will be live music by Ocracoke's Molasses Creek on Friday along with the Traditional Ocracoke Square Dance. Dance with the Ocracoke Rockers on Saturday. 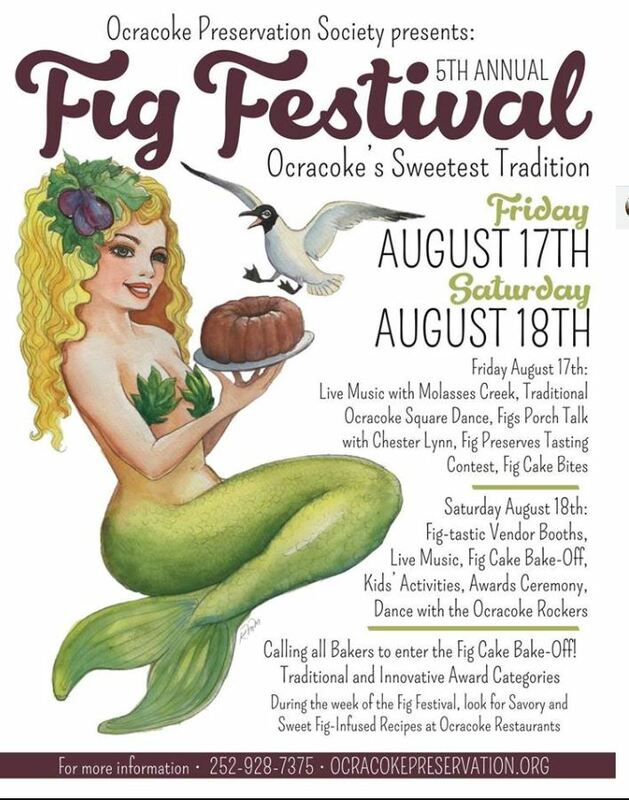 We invite you to visit Ocracoke Island for the 5th Annual Ocracoke Fig Festival. Plan an extended stay to explore our village by bike, golf cart or take a leisurely stroll. Ocracoke offers a family friendly village with amazing restaurants, seafood markets, fishing charters, shops, galleries and outdoor watersports. The Ocracoke Fig Festival is sponsored by the Ocracoke Preservation Society.